Crafton Hills College Honored as Statewide "Strong Workforce Star"
Home » News and Public Relations » Crafton Hills College Honored as Statewide "Strong Workforce Star"
Five programs at Crafton Hills College earned the California Community Colleges’ Strong Workforce Stars recognition for improving student employment and wage outcomes. 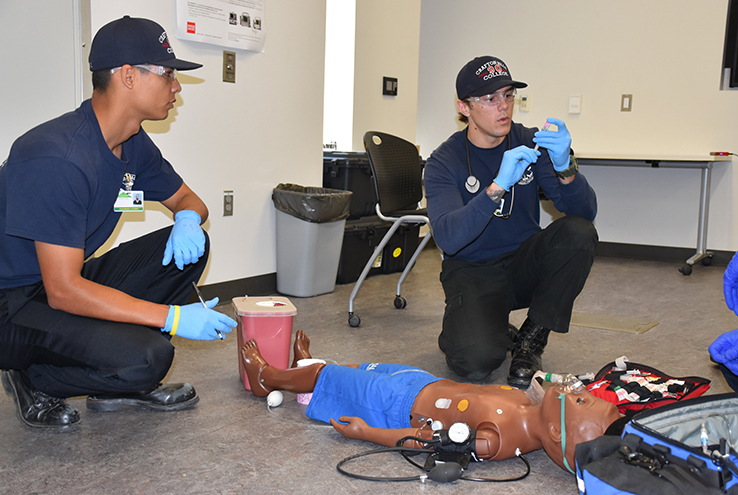 Crafton’s Paramedic Program received a Gold Workforce Star, the Respiratory Therapy and Radiologic Technology programs received Silver Workforce Stars, and the Child Development and Fire Technology programs received Bronze Workforce Stars. Strong Workforce Stars is an annual recognition for career education programs, also known as career technical education, within the California Community Colleges system whose graduates show significant gains in factors important for advancing social mobility – a substantial increase in earnings, attainment of a living wage and a job closely matched with the field of study. Silver Star programs Respiratory Therapy and Radiologic Technology have high completion rates, with 97.2% and 100% respectively. The Radiologic Technology program also has a 100% job placement rate. Students from Crafton’s Child Development program, a Bronze Workforce Star, increase earnings by 75%, while Fire Technology certificate and degree completers can double their salaries within five years.